Hans von Bartels was born into a wealthy family in Hamburg and studied under the renowned Düsseldorf painter Rudolf Hardorff, afterwards settling in Munich in 1885. In 1887 von Bartels visited the Dutch fishing town of Katwijk for the first time. 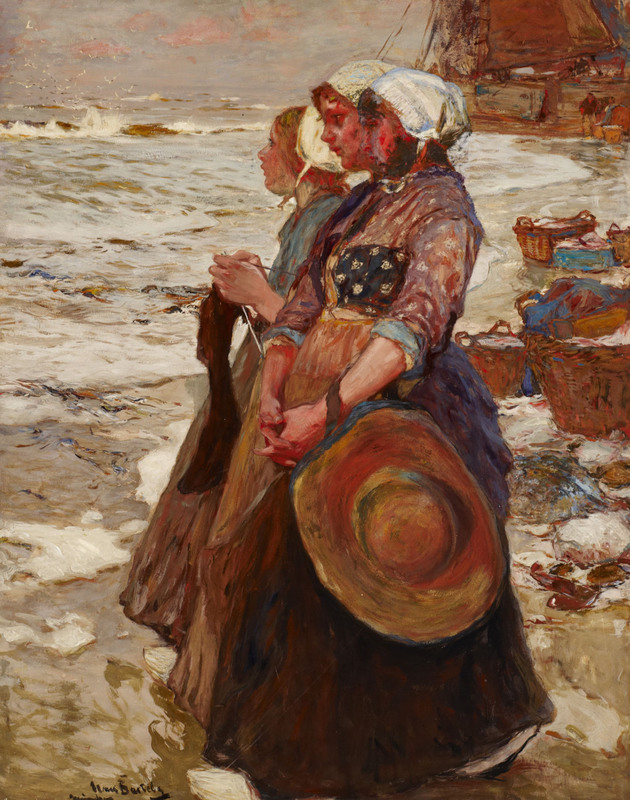 The lives of the fishermen and their families, their colourful traditional dress, the beach and the boats became an enduring source of inspiration, and he subsequently returned every year, becoming one of a group of German painters who specialised in painting Katwijk genre scenes, often using watercolour and gouache.